This statement has been at the center for my work for over a decade now, embracing a multiplicity of meanings. Initially, I began my investigations into rust and decay as a means to detour my shortcomings as an oil-painter; and I found myself working with mangled surfaces and corroded objects constructed from wood, paper, metal, glass, light, and photographs. The latter proved to be noteworthy, as I discovered a means of re-activating the photosensitive properties of silver gelatin prints and embedding distressed copper and steel into the surface of the photographs. Within my current body of work, I continue to investigate the properties of decay. Specifically, I have focused on how decay parallels and relates to the perception of time when cycles of activity dwindle toward stasis. While I still incorporate much of the visual sensibilities from those aforementioned processes, sound has emerged as a central medium for my current installations and performances. Drawing from shortwave radio static, electric field disturbances, controlled feedback manipulation, and numerous textural scrapings, I manifest a broken minimalism whose magnetic drones give the impression of timelessness, when in fact the environment is quite active. Currently, I reside in the San Francisco Bay Area and have exhibited at the San Francisco Museum of Modern Art, Electric Works (San Francisco), The Exploratorium (San Francisco), Westspace (Melbourne, Australia), Diapason (New York), Jack Straw Productions (Seattle), Works (San Jose), Eyedrum (Atlanta), The Fugitive Art Center (Nashville), and Varnish (San Francisco). 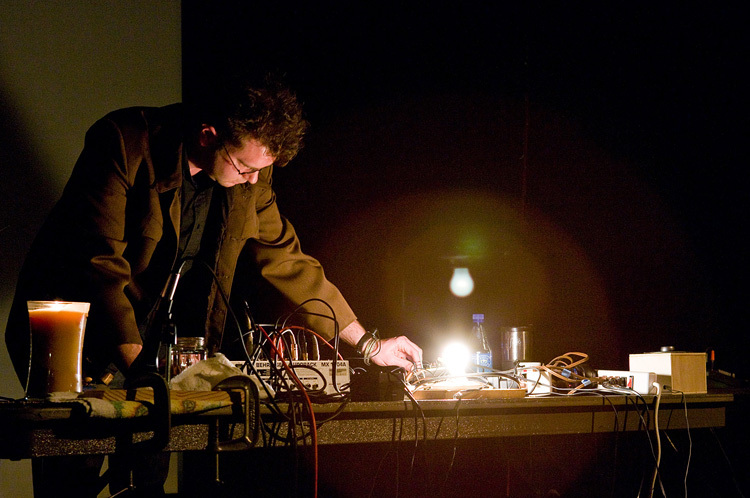 While in residence, Jim Haynes worked on a number of site-specific recording and performance activities. Some of the recordings went into future compositional works including the "eravaldus/eraldus" LP.